I’d recommend filing issues on https://github.com/w3c/csswg-drafts/issues with each of these issues independently. > Issue 1: On several of the visual examples of dotted emphasis, the dot placement is too close to the base text. > The emboxes of the base text and dotted emphasis glyphs should touch and not overlap. 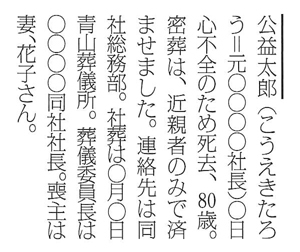 The size of the dotted glyphs' emboxes are normally 50% of those of the base text, although sometimes further scaling of glyphs is  necessary for larger dots. > Please verify with other experts as to this edge case. > Its placement is different from normal overline (set more outside the line, not touching the embox) and is thicker than overline. Perhaps inclusion of an example like this could be useful? Next message: fantasai: "[css-grid-2] Updated WD of CSS Grid Level 2, Call for Comments on Subgrid"
Previous message: fantasai: "Re: [css-cascade] Typo"
In reply to: Nat McCully: "[css-text-decor] dotted emphasis placement and "obituary line""
Next in thread: r12a: "Re: [css-text-decor] dotted emphasis placement and "obituary line""
Reply: r12a: "Re: [css-text-decor] dotted emphasis placement and "obituary line""